The 25-year-old part-Puerto Rican country singer and former American Idol champion has notched his second No. 1 on Billboard‘s Country Airplay chart, as “This Is It” ascends 2-1 in its 37th week on the chart dated February 16. The ballad increased by 8 percent to 39.6 million audience impressions in the week ending February 10, according to Nielsen Music. On the airplay-, streaming- and sales-blended Hot Country Songschart, it enters the top five (6-4). 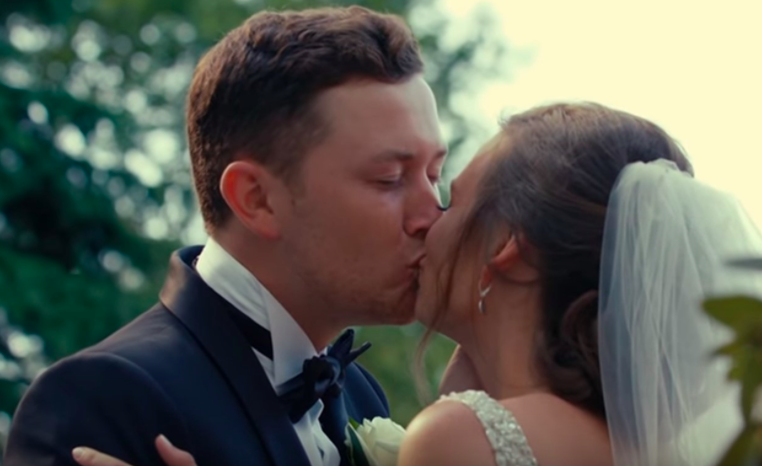 McCreery co-authored the song, with Frank Rogersand Aaron Eshuis, for his then-longtime girlfriend Gabi Dugal, and sang it at their wedding last June 16. McCreery, who won American Idol in 2011, earns his second Country Airplay leader in a row from his album Seasons Change, which became his third Top Country AlbumsNo. 1 in March 2018. He notched his first Country Airplay No. 1 with the album’s first single, “Five More Minutes,” which led for a week the same month.